The National Rifle Association is shifting into high gear to shoot down federal and state barriers to buying gun suppressors, believing that the inauguration of President Trump will help to clear the way to easy and low-cost purchases of silencers. “It’s going to be a new day, it’s a new opportunity to hit the reset button,” said Chris Cox, NRA’s chief lobbyist and the executive director of the NRA Institute for Legislative Action. “This is a fight we can win,” he added during last week’s annual SHOT Show in Las Vegas. 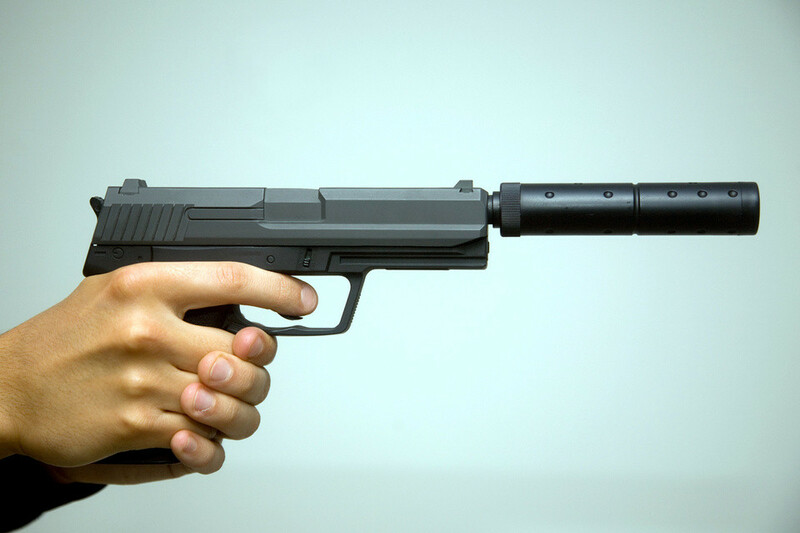 The Hearing Protection Act of 2017 is the vehicle for ending the federal $200 tax and waiting period for purchasing silencers, and it has won the full support of the NRA. He added that the Occupational Safety and Health Administration would shut down gun ranges because of noise if the Labor Department agency had its way. While countries in Europe approve the use of suppressors at ranges and while hunting, the gun accessory has been demonized in America, especially in movies where they are often shown as the tools of assassins. To help lawmakers pushing the Hearing Protection Act, Cox and others at the NRA have stepped up their campaign against that image while making the case that it’s an extension of gun safety. The NRA’s Internet star, lawyer and gun rights activist Colion Noir, is also fighting the issue on his NRATV show. FAIRFAX, Va. – The National Rifle Association Institute for Legislative Action (NRA-ILA) applauded Congressmen Jeff Duncan (SC) and John Carter (TX-31) on Monday for introducing the Hearing Protection Act, an important bill that gives gun owners and sportsmen the opportunity to better protect their ears and hearing. The Hearing Protection Act, H.R. 367, would remove suppressors from regulation under the National Firearms Act, replacing the federal transfer process with a National Instant Criminal Background Check. The bill would reduce the cost of purchasing a suppressor by removing the $200 transfer tax. Suppressors are often mischaracterized in Hollywood. They do not “silence” the sound of a firearm. Instead, they act as mufflers and can reduce the noise of a gunshot to hearing safe levels. 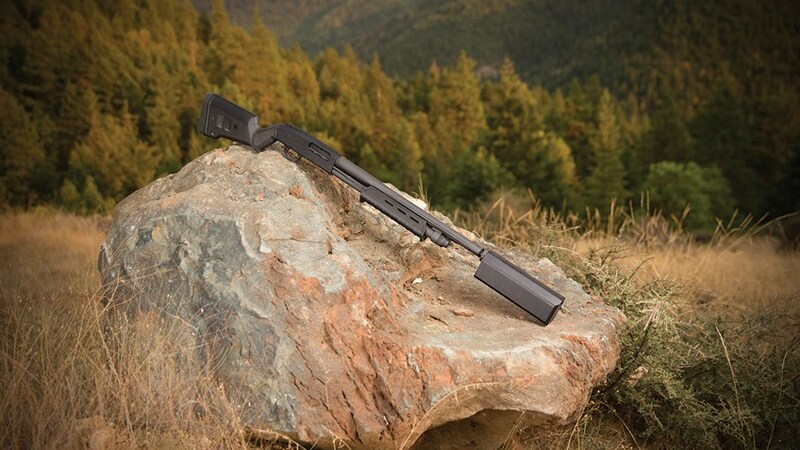 Not only do suppressors reduce hearing damage for the shooter, they reduce the noise of ranges located near residential areas. H.R. 367 would make it easier for gun owners and sportsmen to purchase suppressors in the 42 states where they are currently legal. Purchasers would have to pass a background check to buy them, and prohibited people would be denied. NRA is proud to have partnered with ASA on this important legislation. “Gun owners and sportsmen should be able to practice their sport with the tools necessary to do so safely. This bill makes it easier for them to do that,” concluded Cox. Here comes the magical mystery tour! 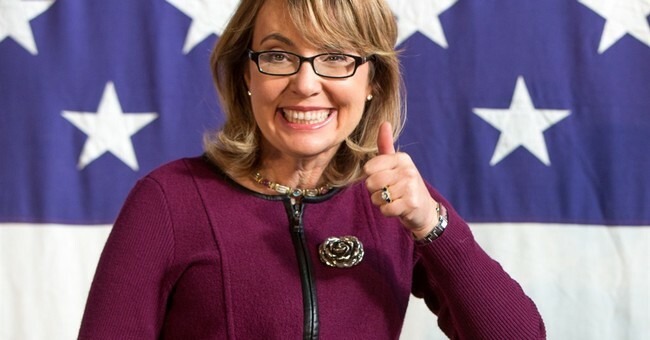 Anti-gun activist–and former Congresswoman–Gabby Giffords is taking her gun control cause on the road because that is the number one priority on the minds on most American right now…said by no one ever. The focus will be strengthening laws to protect victims of domestic abuse. Currently, citizens convicted of domestic abuse are barred from owning firearms. The late New Jersey Sen. Frank Lautenberg spearheaded the amendment called the Domestic Violence Offender Gun Ban in the 1990s. The Supreme Court recently upheld this federal law’s constitutionality last March. Former U.S. Rep. Gabby Giffords on Tuesday urged women in Maine to help prevent stalkers and abusers from getting guns, part of a nine-state tour to advocate for tougher laws she says can protect domestic violence victims.The former Arizona congresswoman, who was severely wounded in a 2011 shooting in Tucson that killed six people, told law enforcement officials, domestic violence advocates and others that those who seek “common sense” gun reforms can lead the way in safeguarding women and families from abusers. “We can change our laws. We can win elections. Please join your voice with mine,” she told the roughly 20 people gathered at the University of Southern Maine campus to discuss gun control policy ideas and challenges. During the more than weeklong tour that will take Giffords from Maine to Washington, she will urge residents to press their state and federal officials to prohibit people convicted of stalking and domestic violence misdemeanors from possessing guns. Her gun-control advocacy group, Americans for Responsible Solutions, calls guns and domestic violence “a lethal mix,” noting that abuse victims are more than five times more likely to be killed if the aggressor has access to a gun. The tour will take Giffords to New Hampshire, Connecticut, Pennsylvania, Arizona, Minnesota, Iowa and Oregon. The last stop of the tour will be in Seattle, Washington, on Oct. 22. So, since there is a law that is already on the books barring people convicted of domestic abuse from owning firearms, the issue will eventually have to revert back to background checks, which is another area where liberals have made their case and failed to convince the public that cannibalizing their civil rights would lead to safer communities. After all, sacrificing freedom for safety is beyond repugnant. Gabby Giffords Starts Nine-State Gun Control Tour – Matt Vespa. According to the National Rifle Association (NRA), Ballot Initiative 594 could make the act of simply lending one’s gun to another person without a background check by a licensed dealer, at a firing range, for example, illegal. The NRA contends that I-594, if passed, would make it that essentially each time a firearm changes hands, the transfer would have to be processed through a licensed dealer. As a result of the paperwork of almost every temporary transfer, the dealer to dealer must complete the Pistol Transfer Application. A copy of the application “which RCW 9.41.110(9) requires be sent to the Department of Licensing for inclusion in the state database of law-abiding handgun owners,” the NRA says. Additionally, the NRA says that there are virtually no exceptions in I-594. For example, a loan exemption is not made for family members or friends, even if the gun owner is present during the time the firearm is used by the friend of family member. Loaning one’s firearm to an adult family member for self-defense would be considered illegal, as well as loaning a shotgun to an adult friend to go hunting one day. Although an individual can “gift” a firearm to a family member, lending or selling the gun to that same family member is outlawed under I-594. Concealed Pistol License holders, who must be finger-printed for their licenses, are also not exempt. “This (ballot measure) is being marketed by the Bloomberg gun control machine as a means of reducing gun violence in the state of Washington. In reality, it won’t. Don’t take our word for it. Take the words of the men and women in law enforcement [in Washington state],” NRA spokesman Andrew Arulanadam told Breitbart News. WACOPS also points to the deluge of background checks, investigations, and arrests law enforcement would have to engage in. 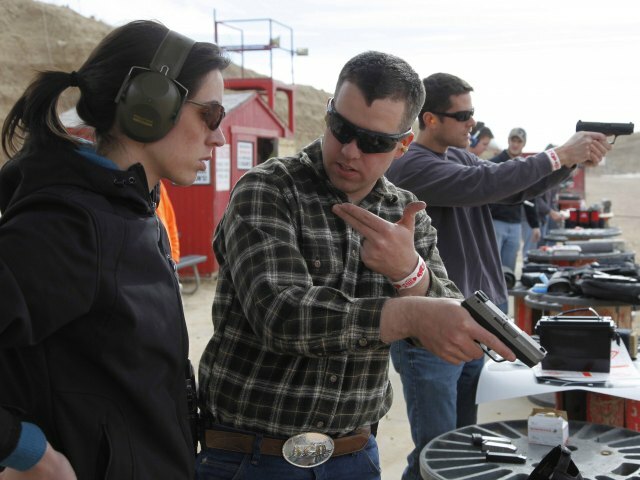 via Washington Gun Control Ballot Measure Would Criminalize Common Firing Range Occurrence. Mike Dickinson, the unhinged Virginia Democrat who once sought the House seat formerly held by Rep. Eric Cantor, R-Va., issued a tweet Sunday asking God to kill everyone in the NRA with the Ebola virus. Dickinson’s tweets didn’t go over well with anyone.On Monday, for example, he issued a tweet falsely claiming the Tea Party consists of high school dropouts who “lack mental capacity.” “That’s why they blame the black man when they can’t get a job,” he falsely claimed. Naturally, Dickinson offered no proof to back up his false assertion.Dickinson first gained national attention when he claimed Fox News lies and suggested Soviet-style monitoring and regulation. Although he talked tough on Twitter, he crumpled like a cheap suit when he actually faced those he accused. In a masterfully conducted interview, Greta van Susteren got Dickinson to admit he lied about his connections to local adult businesses. Now, Dickinson claims he will be a regular feature at radio station WHAN, where he will translate his hate from Twitter to the airwaves. WHAN, however, doesn’t mention Dickinson on its website, and has not confirmed to Examiner that he will be part of their lineup. via Va. Dem. asks God to murder everyone in NRA with deadly Ebola virus – Spokane Conservative | Examiner.com.